Considering that most pregnant women are fairly hard to miss, some public transport passengers find them remarkably easy to ignore. How many times have you seen a mum-to-be hanging on to a rail for dear life in a packed train, bus or tram, while oblivious commuters rest up in seats just inches away? 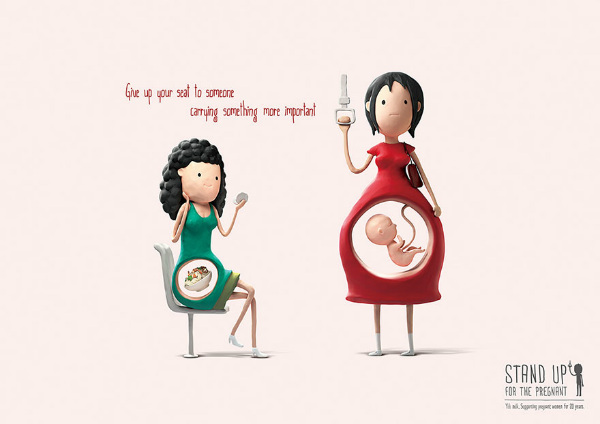 Shanghai designer Shiyang He has created these cute posters to encourage passengers in China to give up their seats to pregnant women. The moral of his story? 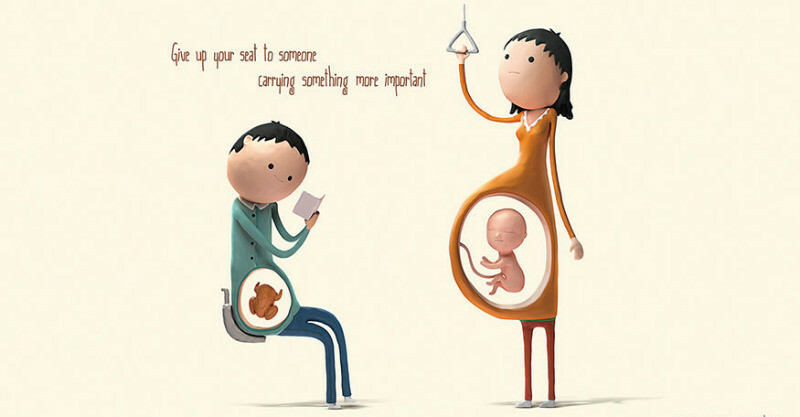 People carrying “food babies” don’t deserve a seat over people carrying real babies. Not that anyone should need to be reminded about that – but these posters, ads for Chinese dairy company Yili milk, do it pretty well. 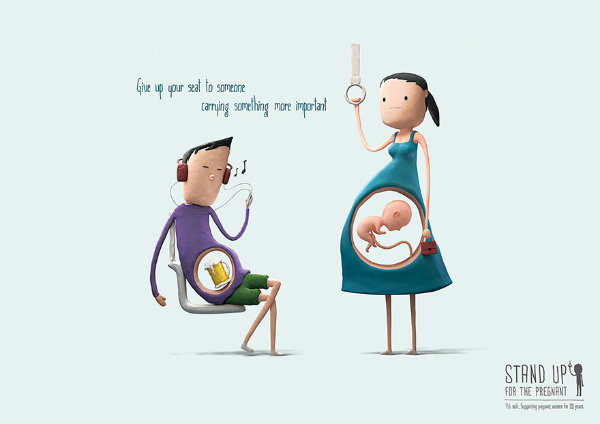 If you are pregnant, and need to catch public transport, take some advice out of our post on the best things about being pregnant – if you want to nab a seat, make sure your belly and waddle are extra pronounced!